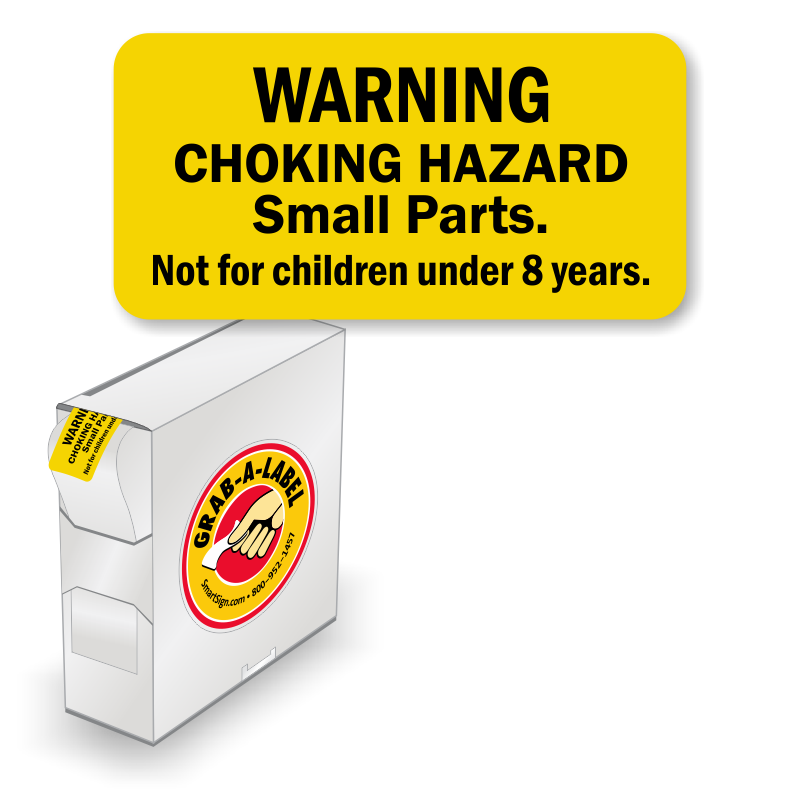 Swallowing small parts and components used in products (board games, assembled toys, installation hardware etc) by children can lead to choking resulting in impeding respiration and even death. 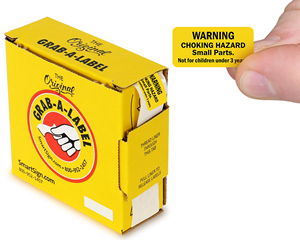 Labels are a cost-effective way to remind guardians and care givers to keep such parts out of small children’s reach. 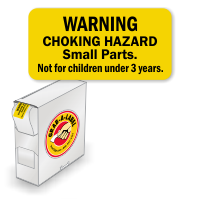 Choking Hazard Labels also help manufacturers comply with labeling regulations set forth by the Consumer Product Safety Commission. • Order individual labels or opt for our Grab-a-Label™ dispenser box that keeps your labels handy and organized. • Labels are offered with a permanent adhesive backing. Your warning message stays intact on application. • Labels include warnings for children under 3 years and 8 years old.